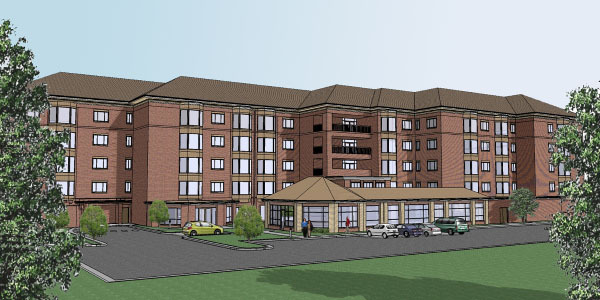 Construction on Springmoor Life Care Retirement Community’s new Wellness Center has begun, and residents and staff couldn’t be more excited to see all of the activity! Many in South Village—where the new center is being built—are glued to their windows, watching as cranes lift beams, and workers scurry to move pieces into place. Some residents have even been spotted snapping pictures of the construction as it progresses. The Wellness Center—which will feature a 25-meter, salt water, lap pool, hot tub, sauna, movie theater, beauty salon, café/bistro, massage therapy rooms, billiard and bridge tables (to name a few)—was a needed enhancement to help residents get excited about fitness, and also to help them enjoy their lives at Springmoor even more, said Springmoor Executive Director Fred Conner. 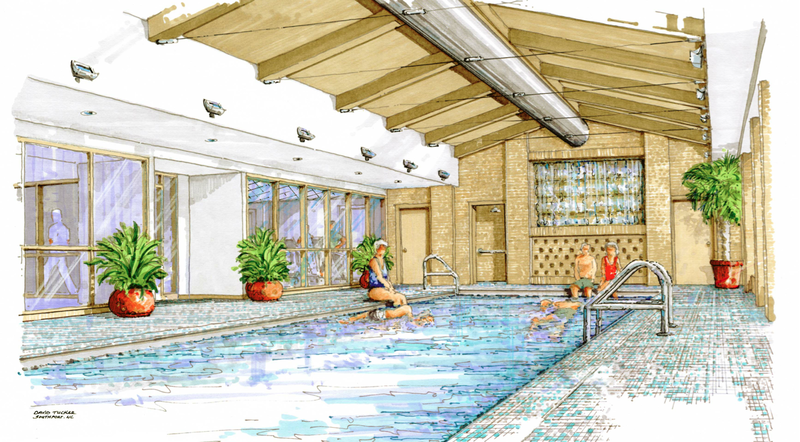 Residents will be able to bring guests to enjoy the amenities of the new center. “Wellness used to be treadmills. Wellness still—in many people’s minds—is getting people on machines to track their progress and help them get in shape. That’s part of it … For me, wellness is also allowing a grandfather to visit with his grandson over a movie and popcorn in the comfort of his community—that’s wellness if his life is improved because he gets to spend quality time with his family,” said David Ammons, chief executive officer of Springmoor, which places high value on family and the family-friendly environment Springmoor provides: Ammons’ father, Jud Ammons, built and opened Springmoor as Raleigh’s first continuing care retirement community in the 1980s; Today, David’s brother, Jeff Ammons, is building the Wellness Center through his company, Ammons Building Corporation. 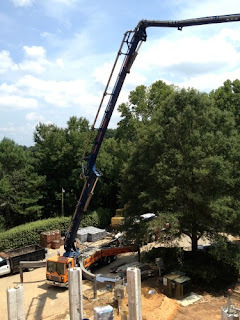 The Wellness Center should be completed in January 2014.